The term security and privacy have become synonymous with living a life in the current age of technology. With the exception of places like remote forests of Amazon, cities all around the world are equally likely to follow similar protocols and security standards. The expensive places, posh areas and residential and commercial places of interest in a city are always under surveillance. The difference being, the guards and humans involved have been reduced. Security has been the main concern for Human Beings since their inception. Needless to say due to development in the field of technology in recent years security and surveillance systems changed completely. The technology has taken the front seat and we are watching the show from their back. It acts as a full-proof solution and we are at ease when they are doing the job well. These devices are pre-programmed to monitor every nook and corner of the street, of the building with continuous power at their disposal. They are always active, online and aware. 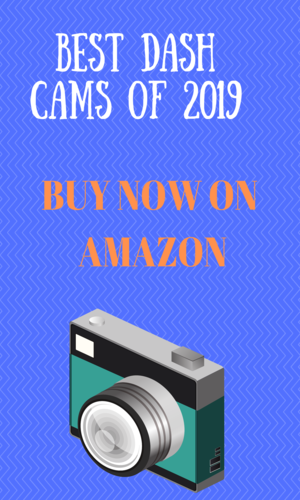 Cameras are the most widely used as surveillance purpose to curtail expenditures and to record the movement of a specific place for future evidence with zero error probability. 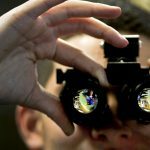 This is really promising, but then comes the controversial theorems of privacy and how this security is a sweet disguise of the bitter truth of making human lives more vulnerable. They are being used to monitor people, their personal lives and this is creating more chaos than ever before. This is where the cons of these devices with eyes like security cameras are being exposed. The cornerstone is that they are mere devices, and once you have a technology, it is definitely going to be used for good and for the bad. How do to guarantee the best use? We simply cannot. And, that is the truth. 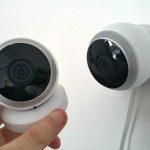 So, here we are trying to make our-self and our new readers aware of the pros and cons of wireless security cameras. And, then we shall talk more about the technology and the devices themselves. 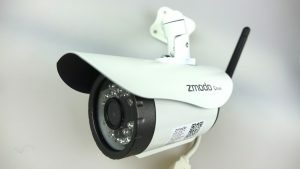 There are mainly Two types of security cameras available in the market nowadays. One is wireless security cameras and other is wired security cameras. 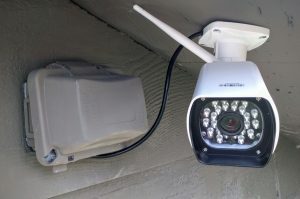 In this Article, I will explain the “pros and cons of wireless security cameras” as per my understanding. Of late, the old kind of wired cameras has been replaced with IOT such as wireless hubs and IP cameras. Wireless security cameras don’t need wires to be functional. We can operate it by remotely. Although it seems fancy to operate the camera from a distant. But it is also very true that if something travels in the air you cannot guarantee its security. They are being served as useful, portable and better means of doing what the traditional heavy cameras used to do. That too With improved image processing capabilities like the ability to see at night in the complete dark, they are at the edge with humans. So, we are inferior as security guards to these cameras now. These are now controlled remotely from anywhere in the world if they are connected to the internet. Or, from nearby places like inside your home, if they are operating on a certain wireless frequency just like connecting securely to your earphone through Bluetooth. You can use your smartphone to monitor the logs of your camera feed. These are now battery powered where these cameras can run for months without a recharge, so no cutting of wires to disconnect them all at a time by switching off the mains (like in the old movies). This is surely surprising how technology is making things easier for us. 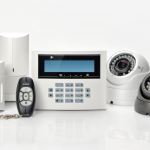 Wired Security Cameras are not very prone to wear and tear as in wired security cameras you need to pay extra attention to cover its wires. They can be Installed & Removed quickly. 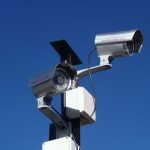 Solar powered cameras are also available in the market which can be installed and removed easily even in remote location. We are also facing a new kind of problems. What are they? These are problems that come with such new wireless technologies. As a thing goes off the wire, it is accessible to and vulnerable to hackers. One cannot stop it by any means. If you can use it, someone with the proper knowledge can also hack into your system. And, this is far more dangerous than before. For example, if your camera was disconnected, you could tell, but now your camera feed can be hacked to show you what these burglars want you to see. That is seriously dangerous and alarming. Your shop is being burgled right now while on your camera you still see the earlier 9 PM recording when the shop was empty after you locked it down and left for home. Here is a simple thought. Are these devices making our lives easier by taking advantage of the fact that we are increasingly becoming lazy? We do not want to get up to open our door and would want the security cameras to check who it is and do the task for us. Now, someone can easily fool it and get into our house while we are completely unaware of any such incident. We want to be assured that our important documents or assets are safe. But, we do not want to use human labor because that is costly. Rather, we choose to go with IP cameras. After all, they are easy to install and remove, can be replaced somewhere in seconds, so why not? We are being lazy as well as dumb here. Many times it can happen that their connection can get lots of them can experience interference from nearby devices and your feed will get corrupted. They can easily undergo wear and tear if not supervised. Burglars, who know what kind of cameras you use, can simply use a jammer and corrupt the feed you are receiving. By the end of an hour, they would have stolen everything from your place. The scariest thing is that you wouldn’t know a thing. Thus, these security cameras are indeed making our lives easier, but some things are better not replaced or left without supervision. 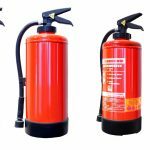 These can surely be used as complementary and additional tools to strengthen the security, but never all by themselves, if possible. The topic of privacy has not come yet and that will surely take another big article to cover. 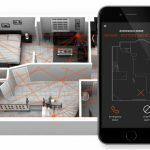 Most of the actions that are done using such security cameras, especially wireless have their own set of features. Being able to work on battery, for months, remotely accessing the feed and so much more. These make them pretty strong and lethal for spying and infiltrating one’s privacy. They have serious benefits for trespassing and involving in unlawful activities as well. 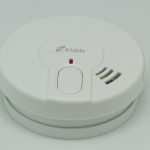 As a manufacturer and seller of these devices, it is not in your control to do just the good. But, collectively these are gadgets and devices with immense power to you. So, take care and use them with caution.